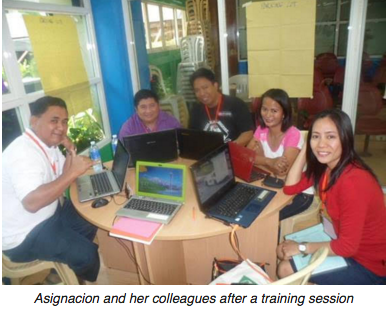 Lorelee Dedoroy Asignacion, is a Microsoft Innovative Educator (MIE), teaching at Bata National High School in the Philippines. Her journey began in 2012, when she was a finalist for the Microsoft Innovative Teachers’ Leadership Awards. Her winning entry was an activity about raising environmental awareness among local officials, where students were required to use technology as a platform for conducting research on the environment, organising mangrove-planting sessions in other cities and creating presentations for local officials. Since then, her students have enjoyed getting involved in other environmental projects such as clean-up drives and environmental camps, using tools such as Microsoft Word, PowerPoint, Publisher and PhotoStory, to share their findings on environmental issues. Inspired by this experience, Asignacion endeavoured to introduce this to her colleagues. She demonstrated to them that even with limited Internet access in school, technology can still be integrated into lessons in many ways, such as by using quizzes created through PowerPoint and its hyperlink functions. 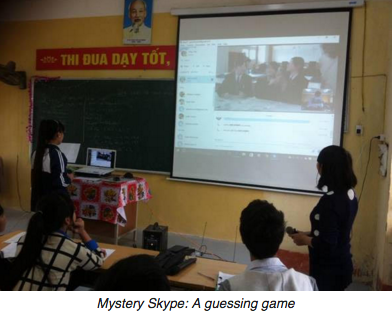 The students of Duc Hop Upper Secondary School in Vietnam are so caught up in a game of Mystery Skype that they’ve dropped their initial reservations and are now enthusiastically interacting with their classmates—students from across the globe—for the day. What is Mystery Skype, you ask? It is a global activity that virtually connects two classrooms together, encouraging students to learn more about each other’s culture without going beyond the four walls. Offering the occasional help is their English teacher and MIE Tran Thi Thuy. She feels that her students do not get enough practice with English as they have few opportunities to communicate in the language. It is this vision that drove her to strive for innovation in the classroom, leading to her runner-up prize at the Vietnam National Teacher Competition 2016. Her winning project was a Skype lesson about raising awareness of the dangers of pesticides in their area. By utilising a variety of technology tools, including Internet Explorer, Outlook, and PowerPoint, students had to research on the topic, reach out to experts, and present their findings through posters, banners, and standees. Tran is collaborating with another English teacher in Japan on how their students can explore a common social issue together: high levels of chronic stress in schools, which stems from the gruelling entrance examinations that students in both countries have to go through. After sharing more about the challenges they face as students, they were tasked to think about how they could use technology to resolve this issue, and then present their solution to the teachers. 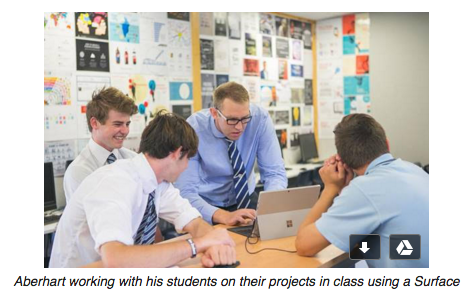 Meanwhile in a town 10,000km away, Jarrod Aberhart, an economics professor at Nelson College, New Zealand, also implements the same philosophy of enhancing learning through technology. One of Aberhart’s favourite software to use in class is OneNote. As part of his courses, Aberhart’s students are required to group up and run a business—and he found that OneNote has been particularly useful in getting them to work together efficiently, both within and outside the classroom. As IT Professional Learning Leader at Nelson College, Aberhart plans to introduce TPACK and 21st Century Design (21CD)—courses that emphasise the use of content and pedagogy in guiding technology integration into the classroom—to teachers in the school. His colleagues have already integrated technology in their lessons, and he hopes these will continue inspiring them to explore new ways of using technology which can help students develop crucial skills such as collaboration, critical thinking, and knowledge construction. Though Aberhart, Asignacion, and Tran are scattered across Asia and have most likely never met, it is clear that they share the same passion: to use technology to transform the way they teach and improve the quality of education. Even though World Teacher’s Day has passed, we continue to celebrate the month of October to our teachers all over the world. Happy World Teacher’s Month to Aberhart, Asignacion, Tran, and every single educator out there who has dedicated his or her life to changing the way students learn.